Monthly retrogaming meetup at Jam. 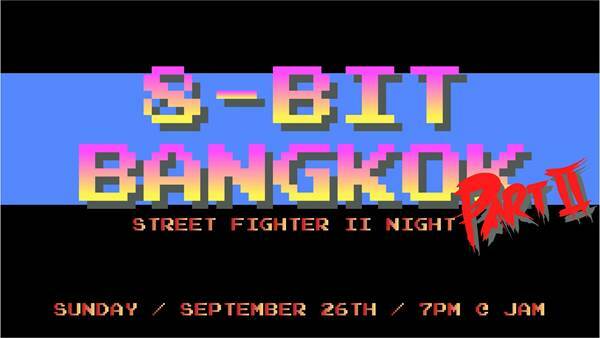 This time we will be playing FRIENDLY rounds of Street Fighter II on Super Nintendo. Video games will be played on a big projector screen. 8-Bit Bangkok is a group with a shared interest of video gaming, aliens, VHS nostalgia and comics. We get together to play retro videos games once a month at JAM. Super Nintendo, Atari, Master System, Sega Saturn, whatever. If you have any consoles or games you would like to share for future nights please let us know.